Liver function tests are laboratory tests that evaluate the level of certain liver enzymes and several more chemicals. They give insight in the function of the organ i.e. allow doctors to evaluate whether there is some damage to the liver. These tests are not sufficient enough to determine the actual cause of liver damage. However, they are of great importance for detecting changes in the organ's function and potential health problem which may subsequently occur. 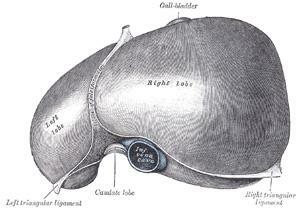 The liver is the main 'laboratory' of the entire body. There are various vital functions it performs. If there is any damage to liver cells, the enzymes inside the affected cells get released into the blood. So by taking blood samples we can easily estimate the level of liver enzymes. Any increase is significant and requires further investigation. Increased level of liver enzymes may be found accidentally, during routine blood analysis, or they confirm high level of liver enzymes in people who have turned to their doctors with the existing symptoms and signs of liver disease. Finally, such tests are of great importance for following patients suffering from chronic liver disorders and their response to the treatment or aggravation of the condition. There are several liver enzymes and a few more chemical compounds measured. Alanine transaminase (ALT) is an enzyme released due to acute damage to liver cells. Its release is closely related to viral hepatitis, acetaminophen or paracetamol overdose etc. It is easily measured in the blood. Aspartate transaminase (AST) is also elevated in case of acute damage to the liver. Still, this enzyme is not liver specific, meaning that its increase may also point to damage to other organs. This is why ALT and AST are analyzed together when evaluating potential liver damage. Alkaline phosphatase (ALP) is elevated in patients suffering from infiltrative liver disease, intrahepatic cholestasis and large bile duct obstruction. Still, high level of this enzyme is considered physiological in growing children. The enzyme also increases in people suffering from different bone disorders and tumors. Gamma glutamyl transpeptidase (GGT) is a liver enzyme that points to serious damage to liver cells most commonly caused by excessive alcohol consumption. Bilirubin is not a liver enzyme, it is a by-product of red blood cells degradation. By measuring bilirubin doctors also have suitable insight in liver function. For instance, if total bilirubin is elevated, testing direct bilirubin (DBIL) may be of great assistance in further evaluation of underlying health issues. Increase in total bilirubin may originate from different prehepatic problems, liver problems or some conditions that affect bile ducts. Elevated direct bilirubin is associated with inadequate excretion of this by-product from the body. This occurs as a result of different conditions like liver cancer, gallstones etc. liver enzymes are elevated with Avonex usage? high bilirubin levels: everything else normal?